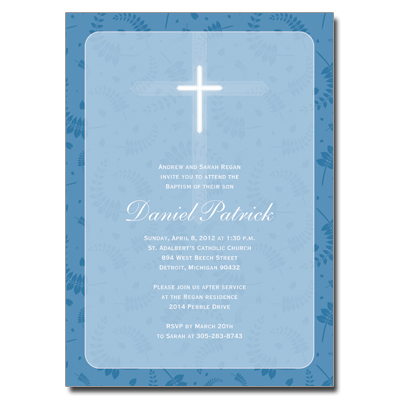 Gather your friends and family members together to celebrate this special occasion in style with these modern invitations. A glowing cross lies on a bed of delicate leaves, symbolizing Spring and new beginnings. Card measures 5x7.